Euro returned to the level of 1.2930 and then continued moving downwards. We think, today the price may reach the level of 1.2830 or even 1.2800. 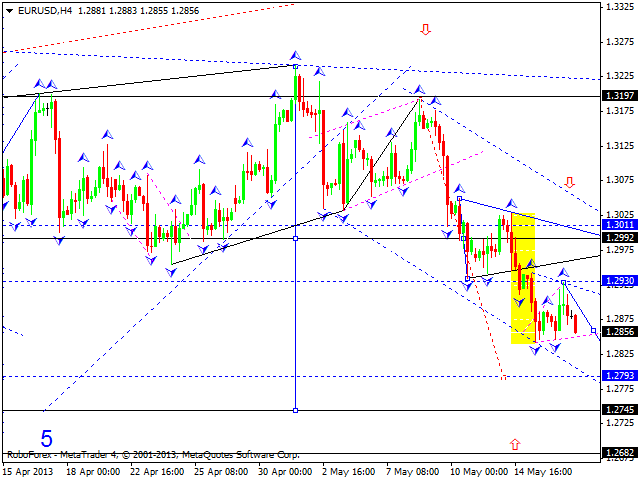 Later, in our opinion, the pair may start a correction to return to the level of 1.2990. Pound returned to the level of 1.5320. 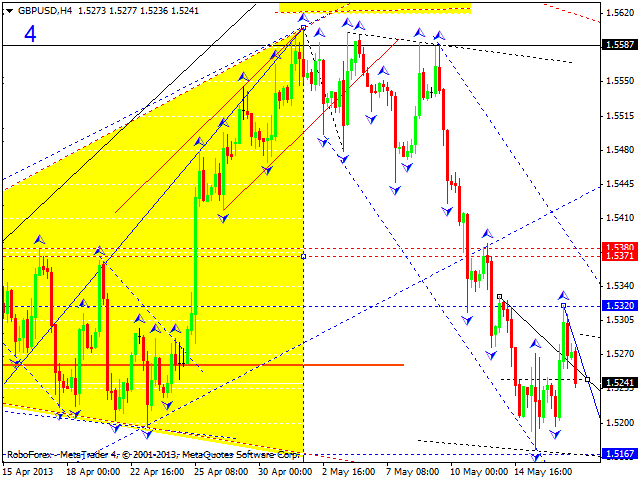 We think, today the price may reach a new minimum and the target at 1.5170. Later, in our opinion, the market may start another ascending structure towards the level of 1.5280. 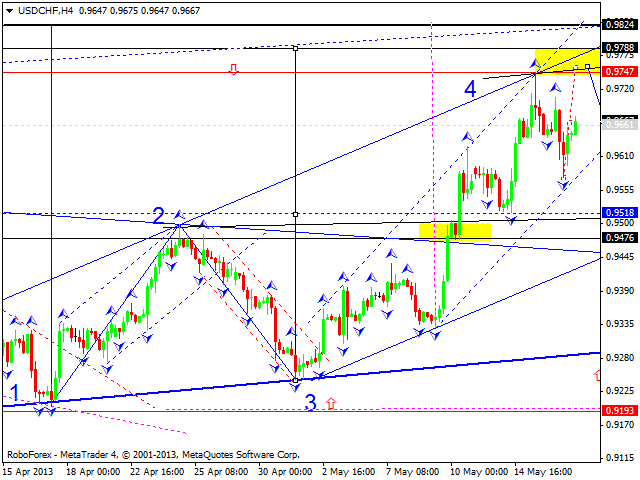 Franc formed a three-wave descending structure to reach the level of 0.9580. We think, today the price may continue growing up to reach a new maximum and the level of 0.9750. Later, in our opinion, the pair may start a more serious descending correction towards the level of 0.9470. The USD/JPY currency pair is moving near its maximums and forming a reversal structure. We think, today the price may start forming a new correction towards the level of 99.90 (at least). Australian Dollar is trying to continue its descending movement; right now, it is forming an ascending impulse. 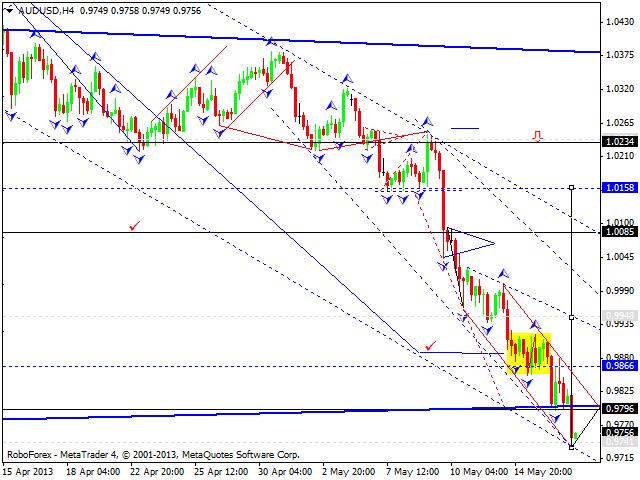 We think, today the price may return to the level of 0.9860 and then start a correction towards the target at 0.9795. Later, in our opinion, the pair may form a new ascending structure to reach the level of 0.9950. 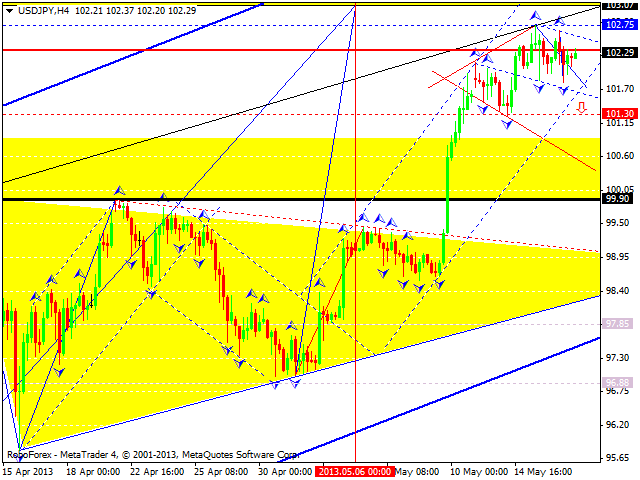 Gold started forming an ascending structure; it has already completed the first impulse and corrected it. We think, today the price may form the second impulse to reach the level of 1417 and then start a correction towards the level of 1398. 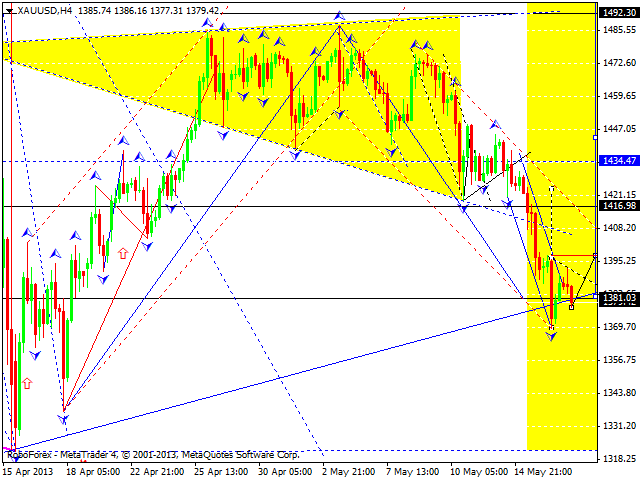 Later, in our opinion, the instrument may a new ascending structure towards the first target of this wave at 1425.